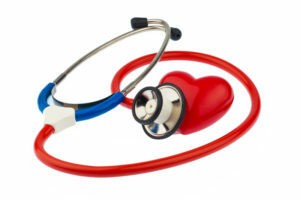 High blood pressure, also known as hypertension, is a condition that affects lots of people. Therefore, if you suffer from this condition, you don’t have to feel like you’re all alone. If you’ve been diagnosed with high blood pressure, there are things you can do to mitigate the risks associated with this condition. However, you are going to need a reliable doctor on your side to help you through the process. That’s why you should come see us at Prime Medical Associates. We will do whatever we can to ensure that you find your way to good health once again. High blood pressure affects millions of Americans every year. It is also the most common type of cardiovascular disease. When you have high blood pressure, your arteries can become damaged, and you increase your risk of heart disease and stroke. These are very serious conditions, so you want to make sure to deal with hypertension as soon as you get an accurate diagnosis. You might have heard high blood pressure being referred to as “the silent killer.” That’s because many people don’t even know that they have it. It doesn’t cause too many side effects, so it can take a toll on your arteries without you even knowing it. That makes this condition incredibly dangerous. 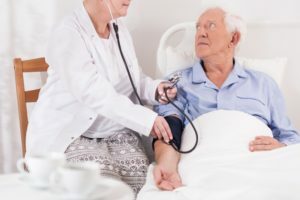 You need to make regularly scheduled appointments with a doctor in Dartmouth, Massachusetts, so you know if you have or are at serious risk of high blood pressure. You can then take the necessary measures to keep yourself healthy and get your blood pressure back down to normal. If you find out that you have high blood pressure, you need to take the necessary steps to handle it right away. If you don’t, you could be left facing serious consequences. These include vision problems, stroke, heart attack, kidney failure, or even heart failure. You don’t want to wait until this problem gets more serious. Take care of it today so you can stay happy, healthy, and productive for years to come. When you get a diagnosis of hypertension, you will probably want to know about all the available treatment options out there. While you might require medications called beta blockers, there is a lot you can do to reverse the signs and symptoms of high blood pressure and ensure it doesn’t continue to worsen. These including losing weight, eating well, and exercising. Reducing your intake of red meat and sodium and increasing the amount of potassium you get on a daily basis can also help. At Prime Medical Associates in Dartmouth, Massachusetts, we do our part to make sure those who have been diagnosed with high blood pressure have the resources and information they need to get better and feel their best. You don’t have to resign yourself to a life of health problems when you have the help of our staff.